Today's blog topic, as they say, is an oldie but a goodie. 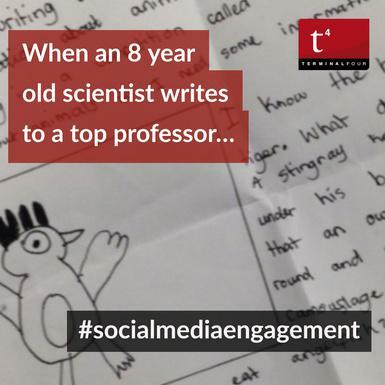 This one features a letter from an eight-year old girl with an interest in science and a researcher's quest to find her! The reason we wanted to share this is because it's the perfect example of thinking outside the box and of how something insignificant can turn you into something of a media sensation. When you work in social media, you learn to keep your eyes peeled for that one story that has to potential to go viral! Sometimes you can be so sure that your social media is about to blow up, that you find yourself refreshing your accounts every few seconds. When nothing happens, it can feel like a personal failure. You decide to change the copy or the image and send it out later that day and when it only performs marginally better, you cast it aside, downtrodden. However, every once in a while, something extraordinary happens and that's exactly what happened for University of Sheffield. If you've ever spent time with children, you will know that they love to ask questions. 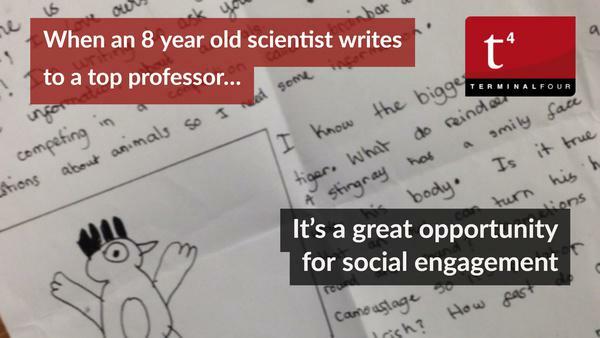 Eight-year old Aisha wrote a letter to Professor Tim Birkhead at the University of Sheffield to ask for his help with the Brainbox competition, she was hoping to enter (and win). Is it true that an owl can turn his head round and round? How fast do owls fly? Professor Birkhead was happy to help but there was a problem, Aisha hadn't included her address. So, the university decided to pull out all the stops to find her. On Women in Science Day, they used copies of the letter to try and locate her, invite her for a museum tour and capture video for a follow-up event. The university used social media platforms such as Twitter, Facebook, SnapChat to spread the message. They even enlisted media outlets such as The Star, Daily Mail, Metro Online and BBC to get the word out.